This course contains 5 PDF's and 16 videos. 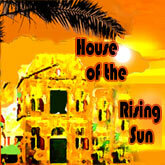 You will receive a download link in your email after purchase. *Develop a DYNAMIC relationship to the string! Learn to use the energy of the string itself to power your movements. All good players do this! 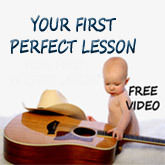 * Learn the secret of PERFECT PRACTICE, which is playing each note in a way that makes the next note easy to play! * Mental Mastery of the music. Movement follows thought, and guitar ability begins in the mind. You will learn how to form the strong mental grasp of your music that makes your fingers your faithful servants as you play. 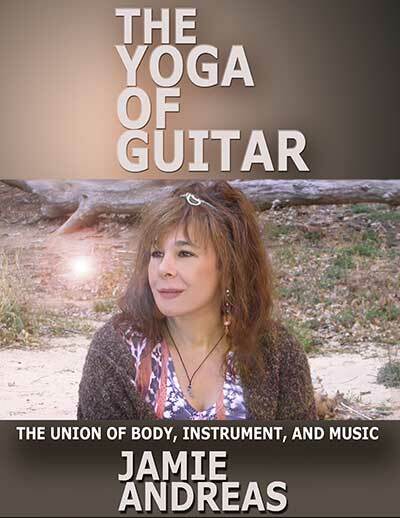 These are just some of the benefits of studying "The Yoga of Guitar"! 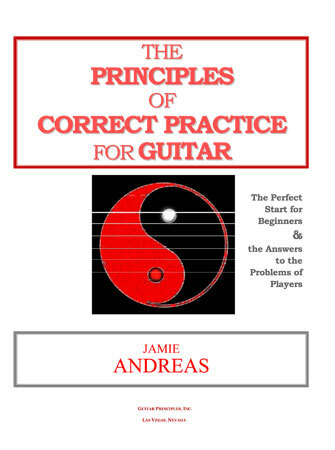 INTRODUCTION TO "THE YOGA OF GUITAR"
It has been 20 years since I wrote "The Principles of Correct Practice For Guitar". "The Principles" was the result of 25 years of research, teaching and testing with thousands of students. 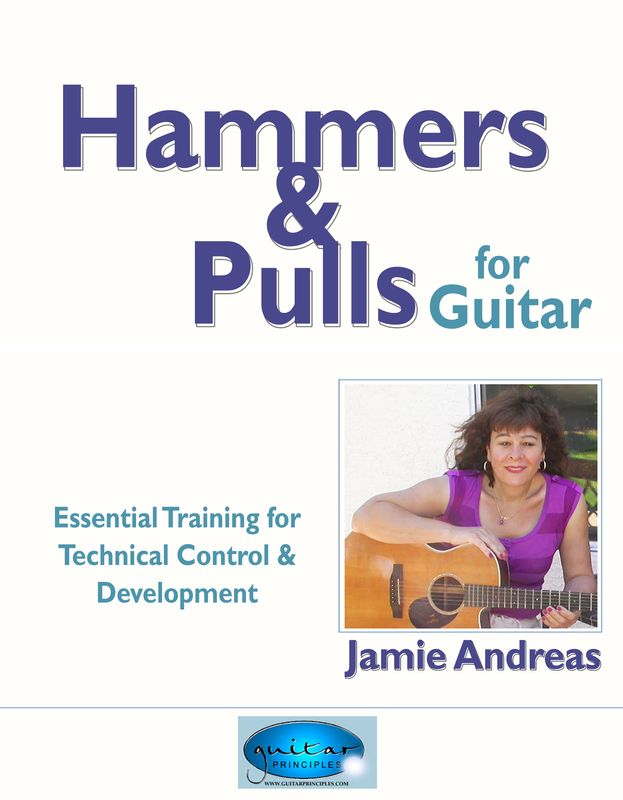 Since its publication, it has brought guitar enlightenment to many thousands more aspiring guitar players around the world, bringing them to a deeper level of understanding and ability about what it really takes to become a good guitar player, and keep getting better. Over the years, many people have suggested to me that I write a "Principles 2". Well, I have done that, and it is called "The Yoga of Guitar". 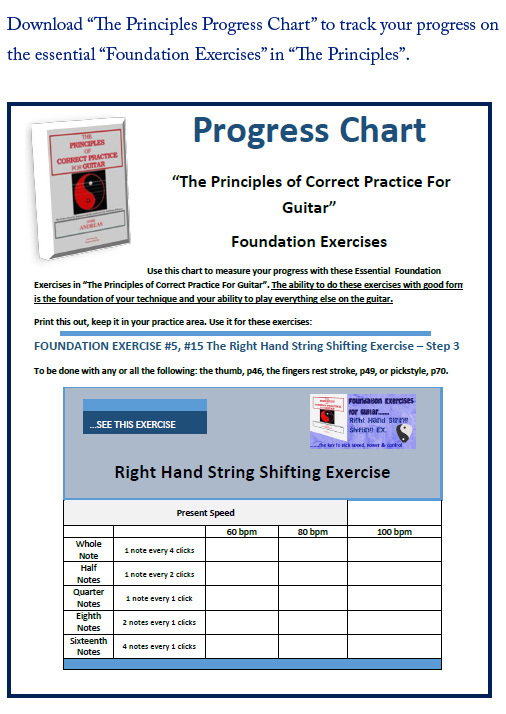 It is an entirely new system for the study of guitar, and brings all of the power of "The Principles" to a higher level that I could not have imagined when I finished "The Principles" 20 years ago. For the last 20 years I have worked intensively with "The Principles", using them myself and with my students. In that time, a tremendous number of new insights revealed themselves to me, and I have worked very hard to collect them, refine them, and organize them into a new system. As I have worked with and developed these new insights and methods, I realized that this system could only be called "The Yoga of Guitar", because of the two meanings of the word "Yoga". "Yoga" means "union" and "skill in action", and that is precisely what this new system of study does for the guitar student. 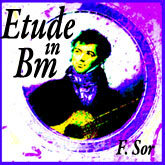 It fosters the powerful connection between player and instrument that all great guitar players have attained, and because of that connection, gives us the ability to express the essence of our music unburdened by the endless obstacles that prevent so many guitar players from achieving that state often called "effortless mastery". 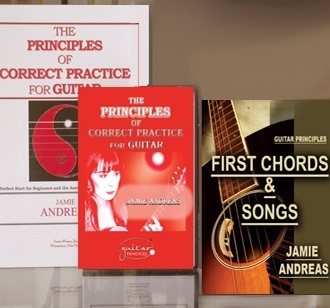 For those who have carefully studied "The Principles", you have already been trained to a great extent in the essential and fundamenta training that leads to great guitar playing, but now we take everything to a much deeper level. 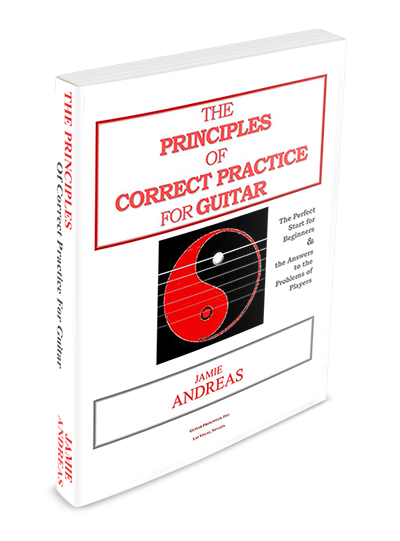 In fact, everything in "The Principles" prepares us for achieving a powerful union between body and instrument, but you will see that "The Yoga of Guitar" takes the foundation laid in "The Principles" and uses it to reach the highest levels of guitar playing ability. 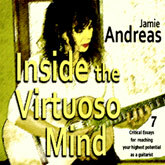 “The Yoga of Guitar” is a communication of deep knowledge about playing and learning guitar. There are 5 components to this system. 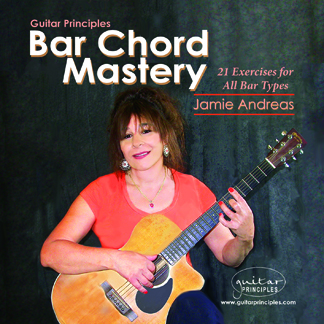 Consistent study of the various components will give you many new ways of thinking about, and doing, your guitar practice. 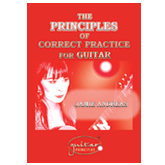 “The Principles of Correct Practice For Guitar” is where the foundation of your abilities on guitar are built. 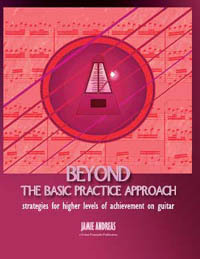 “The Yoga of Guitar” extends and builds upon the training you receive from study of “The Principles”. 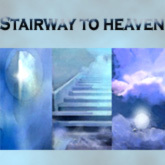 If you give your complete and sincere attention and effort to the material found here, you will experience continuous growth in your playing abilities, as I have in the decades I have spent formulating and using them. 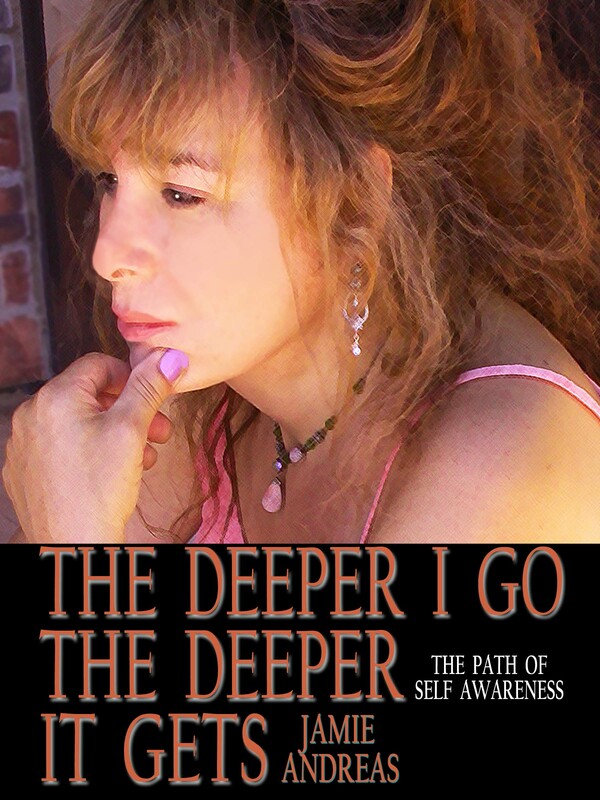 The root of all playing problems is how the string is touched before a note is played Here we learn how to touch the string at a deep level of awareness. We practice the 5 vital parts of touching the string to produce each note. This routine called “The Approach To The String” brings the whole body into awareness, and brings us the realization that the whole body is involved each time we touch a string with a finger. 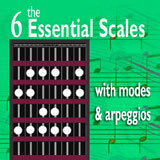 Used consistently with all our music, it will change the way it feels to play the guitar. 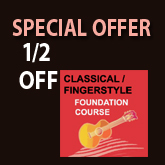 Here we gain the deepest knowledge of the nature of playing the guitar. 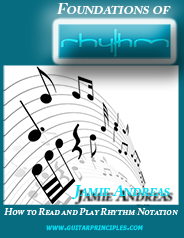 We learn the “Cycle of the Note”, and “The 3 Phases of the Note”. Together. 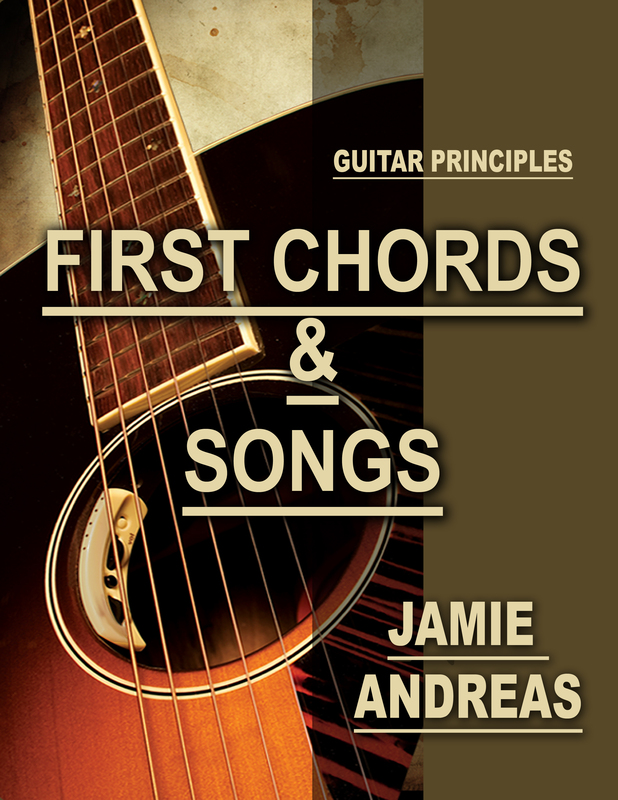 they form the most essential understanding a guitar player needs to form the necessary “connection” between guitar player and guitar. We revisit “The Approach To The String” and gain a deeper understanding of how it helps us to control “Cycle of the Note” and perform “The 3 Phases of the Note”. 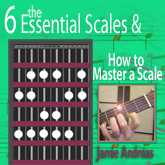 Here we examine the action of playing the guitar at the deepest level, understanding it as a process of movement composed of “elements” and “sub-elements”. We learn how the correct knowledge and performance of these components of the movement process is essential to good playing. 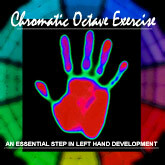 We learn how to discover these components, and how to train our fingers to perform them during practice. 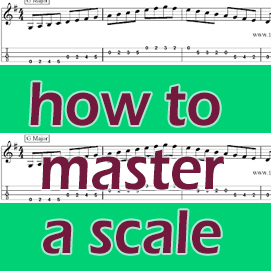 Consistent use of this method of analysis with all our music will transform our playing. Movement follows thought. Trouble with our music, before it becomes physical, begins in the mind. Persistent problems can only be removed by the mind. We often have problems playing our notes because we don’t really know the notes we want to play. We think we do, but we don’t. Here, we learn what it really means to know our notes on the first level they must be known, the mental level. In order to operate and maintain a car, we must have a basic knowledge of its parts and the function of those parts, such as wheels, steering wheel, engine, etc. It is the same with playing the guitar, we must have a basic knowledge of all the parts of the body which are used in the act of playing. It goes far beyond the fingers! 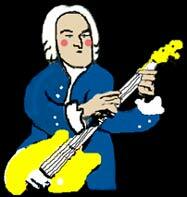 Playing the guitar is a process of movement, and movement occurs at the joints of our body. Each of our joints is a “motion possibility”. Therefore, we must have a basic knowledge of the many joints of the hand, arm and upper body in order to use our playing machinery to its full potential. We will take a look at the parts of this machine, and you will discover that having this knowledge gives you increased ability to develop, work with, and use your own guitar playing machine as you practice and play.